GRAND PRIX: USA: Kimi Finally! Friday was a washout - why bother with Friday? I was dreading reporting on this GP. I thought it would be all over for Vettel’s title bid this year. But Seb managed to hang on to fight another day, despite another self-inflicted first-lap incident. 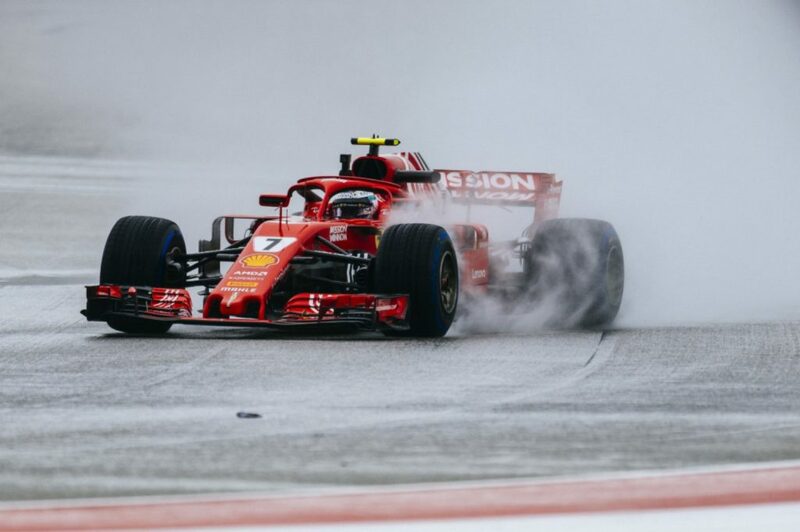 Conversely, the greatest of pleasure came in watching Kimi driving cleanly and rapidly to hang onto a fine win just ahead of the chasing Verstappen and Hamilton. Vettel passed Bottas on the last lap to finish fourth and with that the title chase remains open. But we now have the implausible situation of Vettel having to win all three remaining races and Hamilton scoring less than five points for the title to go to the Ferrari driver. 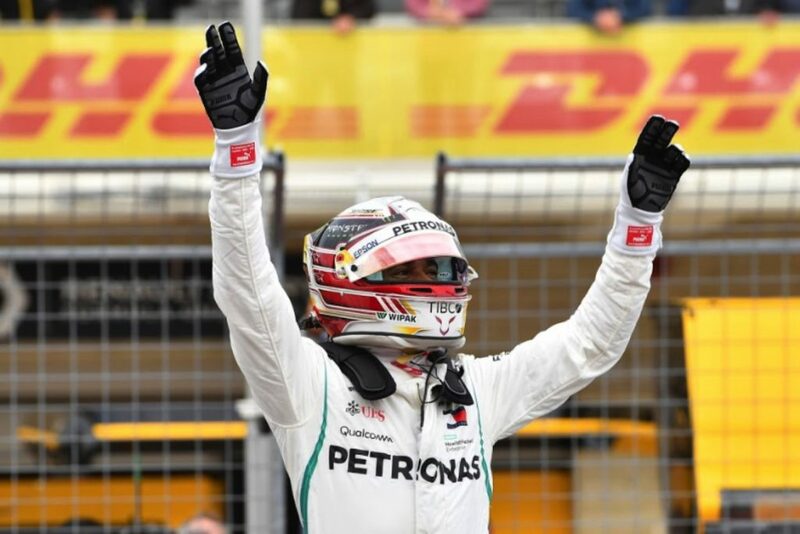 The Ferraris did the seemingly impossible in the first half of the season: they caught up and even passed the Mercs on sheer pace, strategy and guile. And then it went downhill. Then there was a bit of a tightening of oil usage during a GP, and Vettel making a few misjudgements, and the team making a few poor strategy calls, and here we are very much on the back foot. On the other side of the fence it went perfectly for the Mercs in the second half. They had a great car anyway, the team made mostly faultless strategy calls, and it has to be said (and this hurts me) that Hamilton was the more clear-headed driver than Vettel. If I had to pick the very best all-round driver it would regrettably be Hamilton. Qualifying at Austin, however, brought some bright hope – the Ferraris were quick! Recent aero upgrades had been ditched as being a blind alley and the engines seemed strong down the straights again. Whilst Hamilton had the quickest time in both Q3 attempts the Ferraris were right behind, with Vettel second and Raikkonen third. 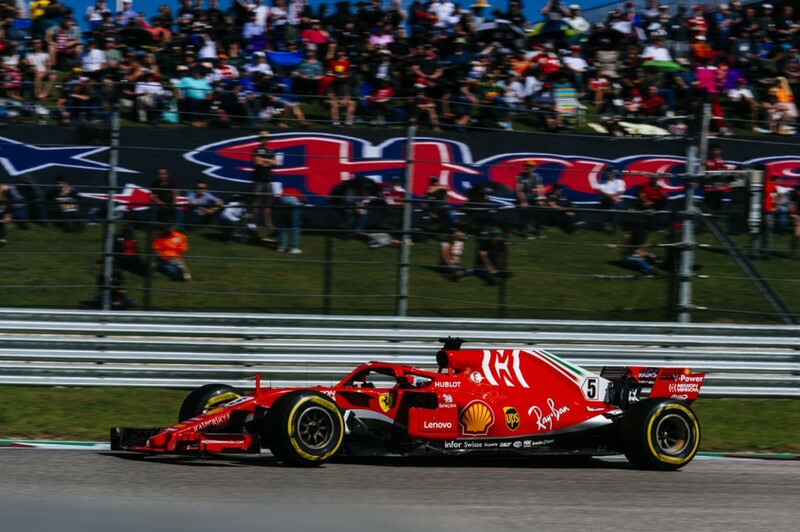 A three-place grid penalty for a Friday red flag speeding incident put Vettel back to fifth on the grid but put Kimi up on the front row, armed with ultrasoft tyres whereas Hamilton only had supersoft. That would decide the start. Ricciardo had another engine failure on lap 8 and, under the subsequent virtual safety car, Hamilton dived into the pits for new tyres, and then quickly closed the gap to Raikkonen who was still nursing his original ultrasofts. But up until lap 21 Hamilton was unable to get past the much slower Ferrari; at that point Kimi came in for his stop to change to softs which would take him to the end of the race. By this point it was clear that Hamilton would probably need another stop as his tyres were blistering badly, and Kimi stayed inside the 20-sec window that Hamilton needed to make the extra stop. Game on! 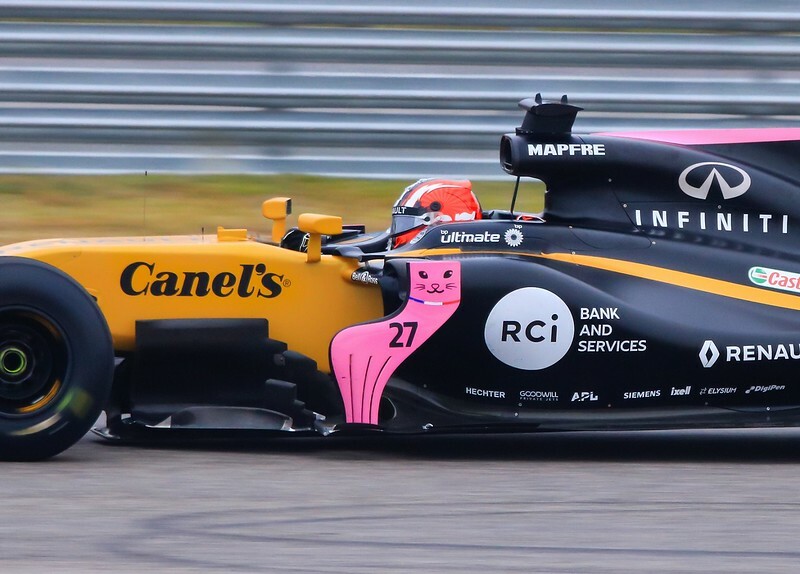 Unseen in all this excitement at the front was none other than Max Verstappen, whom we have not yet mentioned in this report. He had a major suspension failure in Q1 and with a subsequent gearbox change penalty he was down at the back of the grid keeping the two Torro Rossos company. With his usual brilliance he shot up the field, being fifth on lap 7, and with only one tyre stop planned he was another to put a spanner in Hamilton’s wheel. He stayed well within Hamilton’s pit window. When all the stops were completed Kimi was out in front being chased by Verstappen, Bottas in third and Hamilton now down in fourth following his second stop. They all closed up enormously for a terrific grandstand finish. Hamilton obviously breezed by his ‘wingman’ Bottas and the three of them soon ran just a second or two apart. 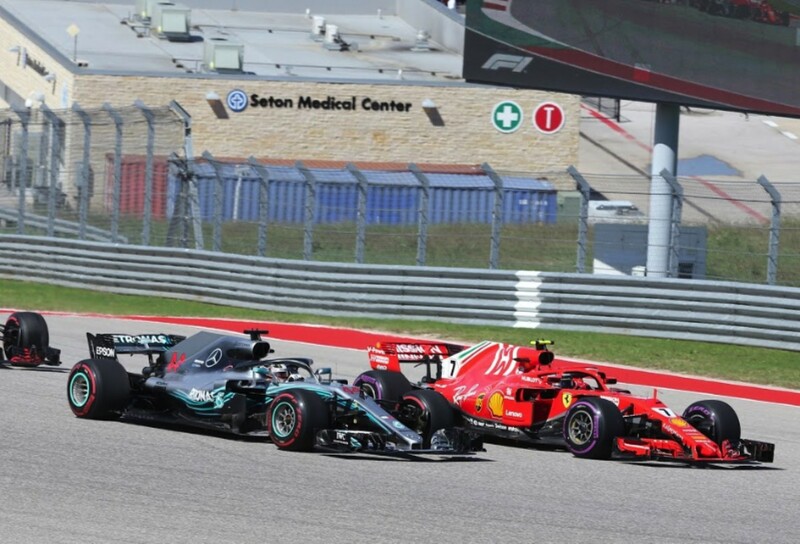 Hamilton tried several times to get past Verstappen which, with Vettel down in fifth, would have given him the championship. But he couldn’t get past and once Vettel passed the tyre-limited Bottas for fourth it would not have mattered anyway. 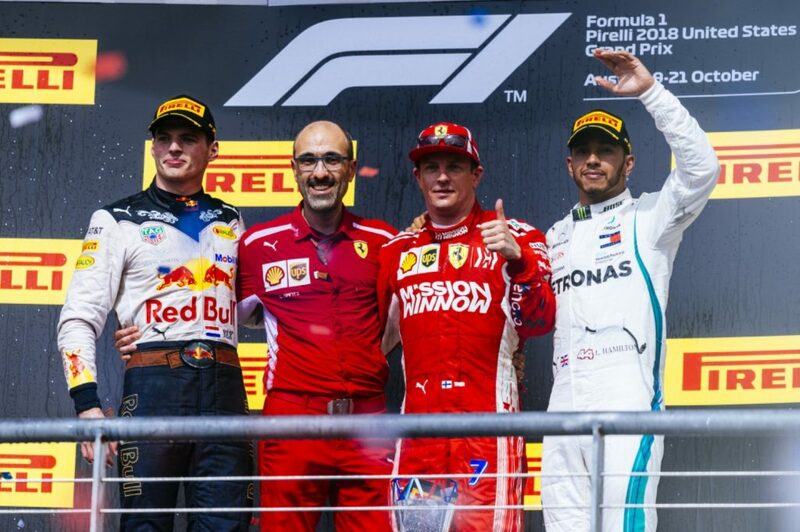 Kimi calmly took the flag and the win with Verstappen a second behind and Hamilton another second in arrears. It had been a magnificent end to the race, even though aero nonsense prevented these evenly matched cars from passing one another. In this case, luckily so! Vettel finished fourth, some 18 seconds back, and will have been rueing that first lap misdemeanour. Who knows what might have happened had he stayed in the race at the front.